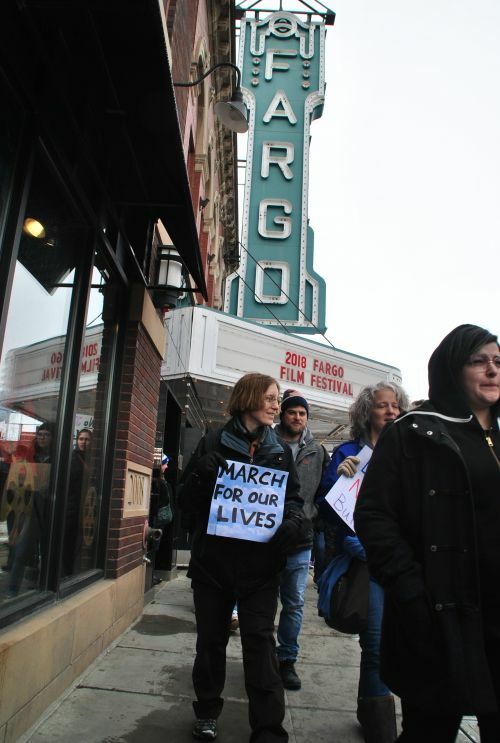 FARGO - The March For Our Lives event that began in Washington D.C. on Saturday by Marjorie Stoneman Douglas High School shooting survivors, spread across the nation sparking more than 800 “sibling” marches, including a rally in Fargo/Moorhead that attracted hundreds. 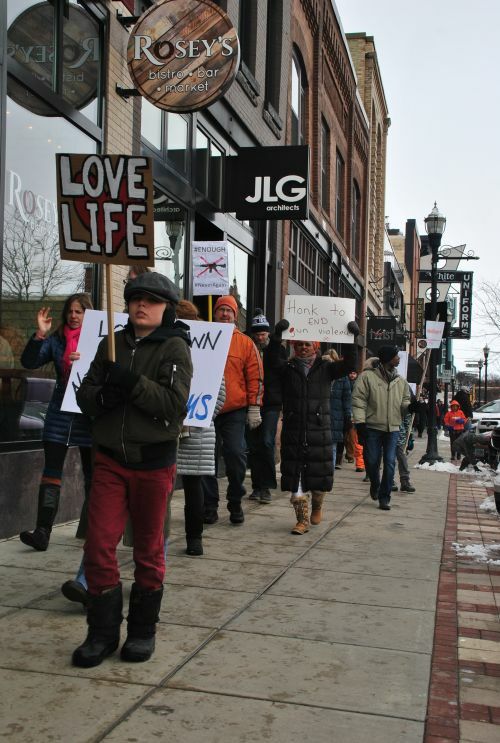 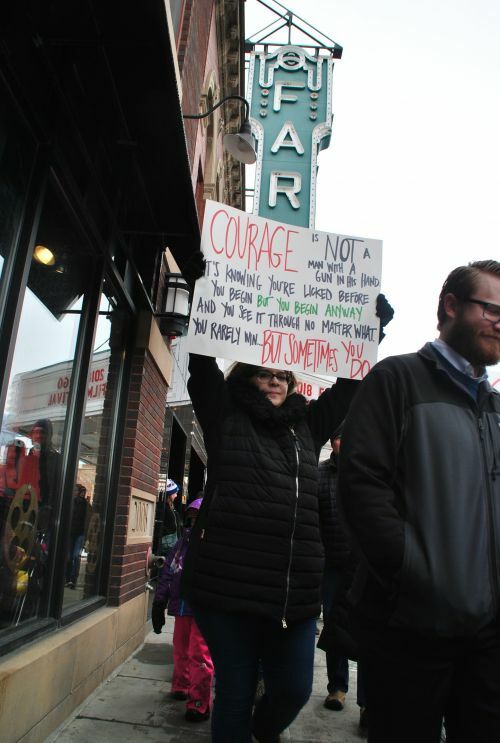 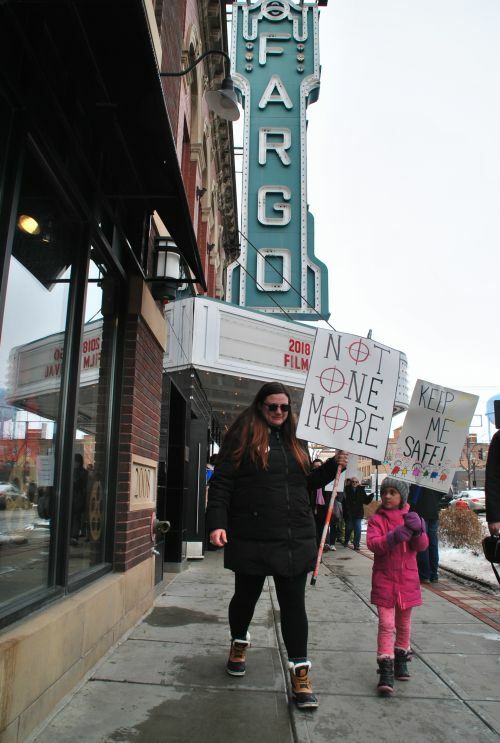 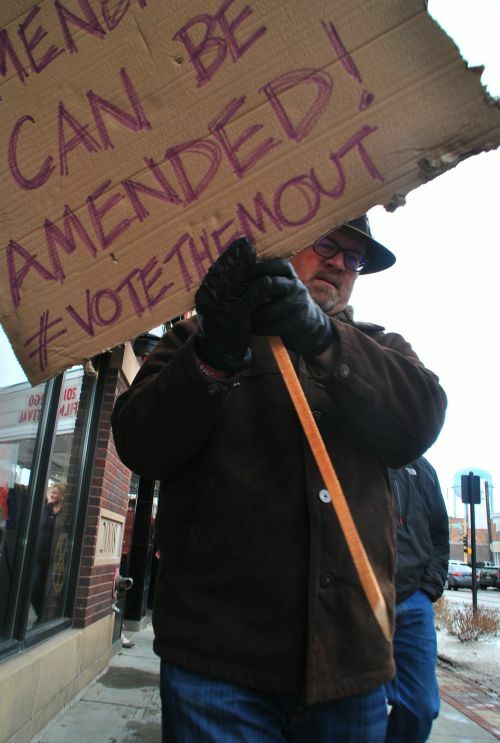 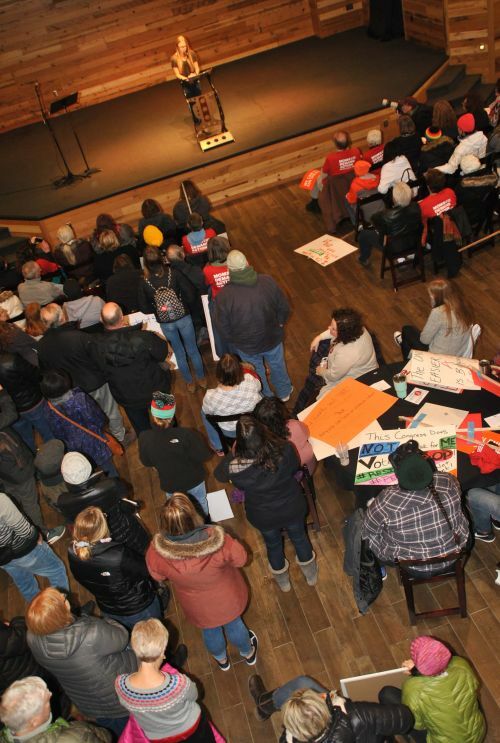 March For Our Lives Fargo attracted more protesters to the Sanctuary Event Center than any other recent event. 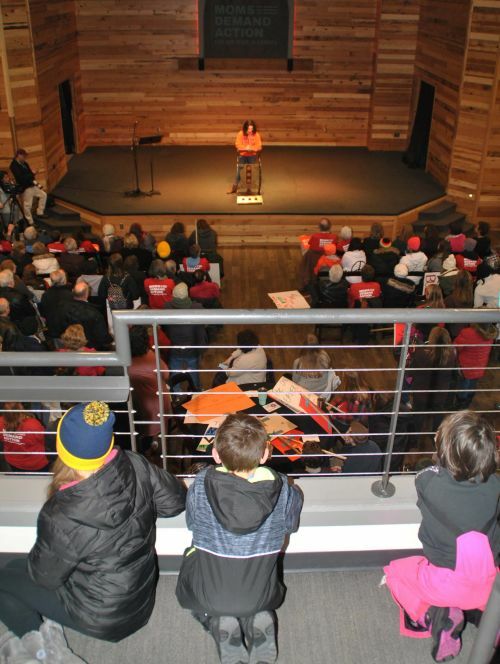 Organized by Moms Demand Action FM, speakers ranged from state legislators to teachers to students. 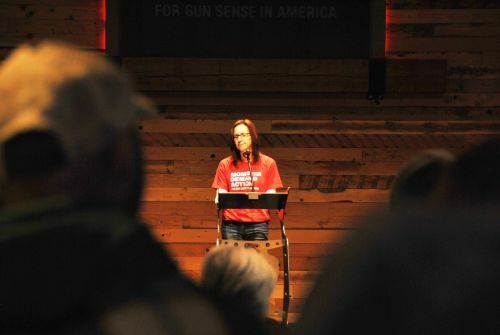 Nobody asked to eliminate the Second Amendment, but they all wanted change including, mandatory background checks before buying guns, raised minimum ages for gun purchases, and more behavioral health services. 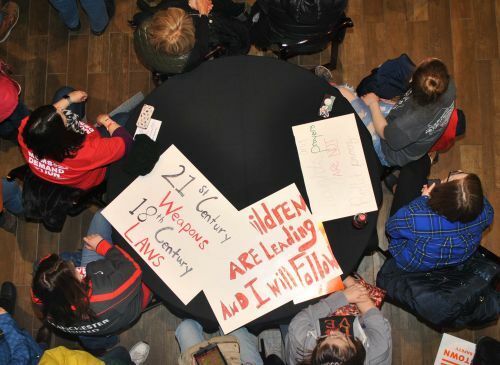 Students read reports from survivors from the Florida shooting. 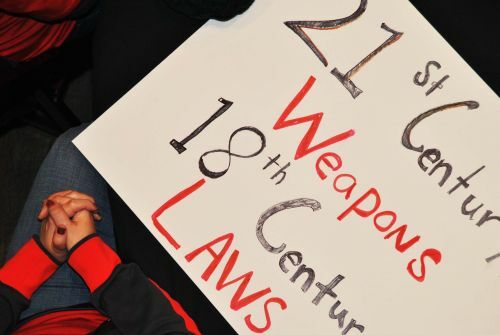 Shaina Eagleson, a teacher, said she does not want armed teachers in schools. 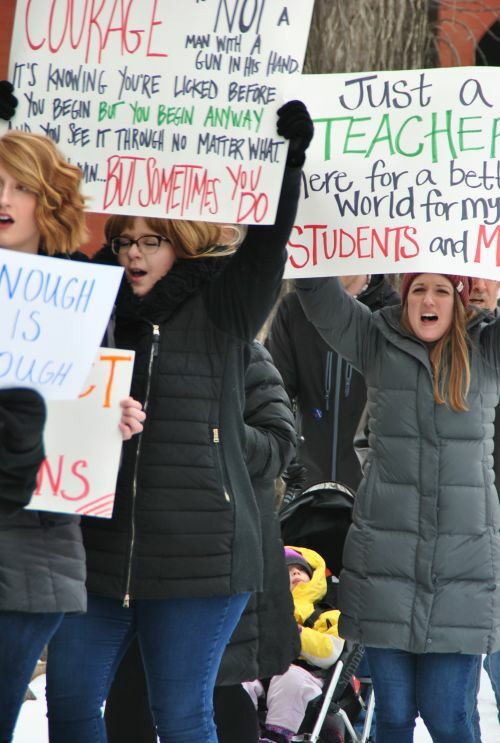 “Instead of arming teachers with guns, arm our schools with more teachers,” Eagleson said. 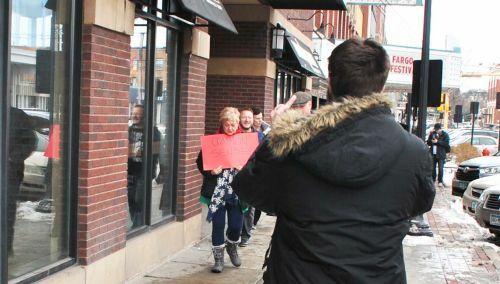 Toward the end of the march, one man entered the line of marchers and began flipping people off, cursing, and asking why they wanted to lose their freedom. 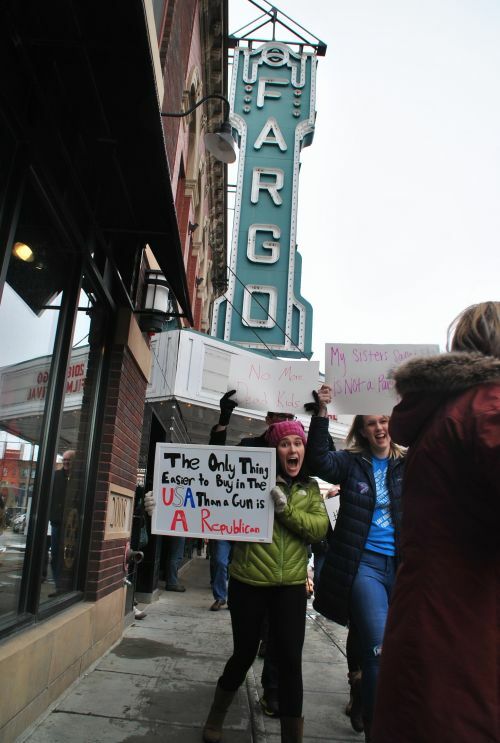 Speakers included: Cheryl Biller of Moms Demand Action ND chapter, Madeline Cano of Davies High School, Laura Jusu of Davies High School, Shaina Eagleson, mom, teacher, and leader of Moms Demand Action Fargo, Mauli Sand of Sheyenne High School, Representative Karla Hanson of District 44, Nicole Niteka of Sheyenne High School, Grace Brennan a teacher, Daysha Fliginger of Fargo South High School, and Sarah Light of Fargo North High School. 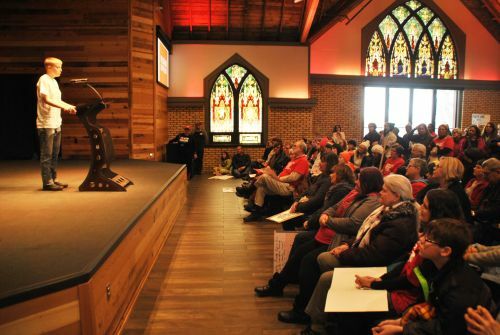 Music was performed by James Bergman.